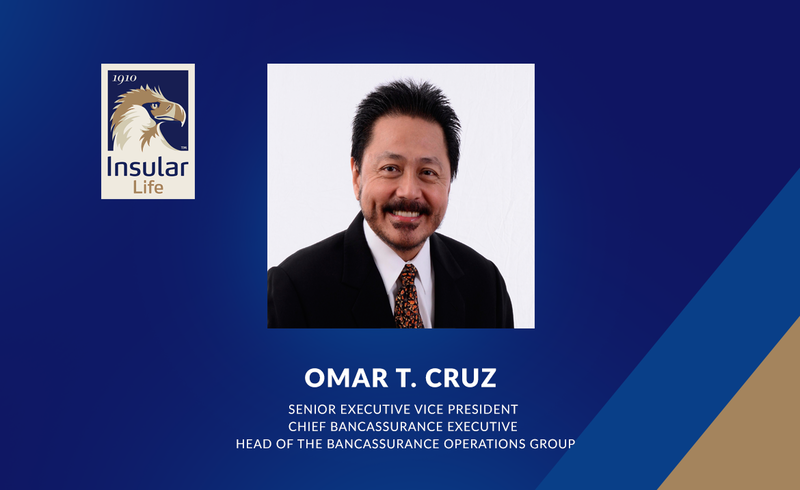 Following Insular Life’s announcement of its bancassurance partnership with UnionBank, Insular Life Chief Executive Officer Nina D. Aguas announced the appointment of Omar T. Cruz as the company’s Senior Executive Vice President, Chief Bancassurance Executive and Head of the Bancassurance Operations Group. Mr. Cruz will be in-charge of strategically managing the growth of the Company’s bancassurance business. “Insular Life has been in the business of life insurance for 106 years, serving generations of Filipino families. With the regulator’s approval of the bancassurance partnership with UnionBank, I am tasked to open more opportunities for both companies in helping more Filipinos reach their financial goals. He has served in the banking and financial services industry in various capacities to include positions in Citibank N. A. as President of Citicorp Securities International, Inc., Vice President in Treasury, Risk Management, Transaction Banking, Private Banking and Business Head for the Financial Institutions Group. He also served the Philippine government in various capacities, during which he received various awards for his prudent management of the country’s fiscal affairs. These positions include: Treasurer of the Philippines, President of the World Association of Debt Management Offices in Geneva, and membership in the Asset Privatization Council, and the Executive Technical Board of the Development Budget Coordination Committee. His career in the insurance industry spans a decade. Prior to joining Insular Life, Mr. Cruz served as Philam Life’s Executive Vice President and Chief Investment Officer before becoming President and Chief Executive Officer of BPI-Philam Life Assurance Corp.
Mr. Cruz is a trustee of various foundations among which are the Financial Executives Institute, University of Asia and the Pacific, Center for Research and Communication, De La Salle University, Philippine National Police and the Investment Advisory Group of PEAC-FAPE. He graduated from the De La Salle University with a BS in Industrial Management Engineering minor in Mechanical Engineering degree, and obtained his MS in Industrial Economics degree from the Center for Research and Communication/University of Asia and the Pacific.